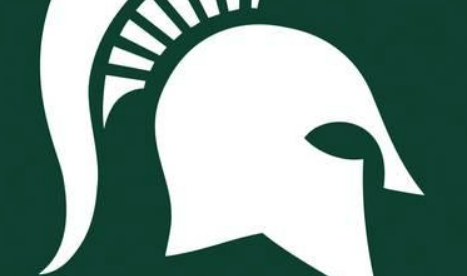 On Thursday, March 21, the first round of the NCAA Division I Men’s Basketball Tournament began with the two seed Michigan State Spartans taking on the 15 Seed Bradley Braves. In the second half of the game, the Spartans’ head coach Tom Izzo berated his freshman forward Aaron Henry for mistakes he had committed leading up to the timeout. The video of Izzo in the Michigan State huddle getting demonstrably angry, needing at one point to be held back by senior point guard Cassius Winston, went viral across the internet. In the week since the incident, pundits across the sports landscape have weighed in on the timeout in question. Izzo was unapologetic in the post-game press conference about his coaching style. In the next game against Minnesota, Henry seemed unaffected by the previous game’s incident, performing well in the victory. The person in this situation who deserves the most credit in this incident is Henry. That incident could have easily have affected his play going forward or made him resent his coach. The contrast between the two games raises an age old question: Is that angry, blustry style of coaching still effective in today’s world? Some commentators like former NBA All-Star Charles Barkley agree with Izzo’s old-school methods of coaching his players. Others like ESPN’s Bomani Jones believe that there is a level of hypocrisy with this situation. On his podcast, “The Right Time with Bomani Jones,” he highlights how people defending Izzo wouldn’t tolerate being coached the same way. At the root of this media firestorm is how this situation between the coach and his player depicts a deep philosophical divide between generations. Specifically, this highlights the contrast between those who believe anger is sometimes an effective tool in the instruction of young men and women and those who believe that anger is a foolish technique. With the collegiate basketball coaching ranks continuing to be populated by primarily older men who come from a generation of instruction that centered around hard discipline, these flare-ups will continue to occur.